From the creators of the Academy Award- nominated Ernest & Celestine comes another hilarious, heartwarming tale of animal misfits destined to become a classic. The countryside isn’t always as calm and peaceful as it’s made out to be, and the animals on this farm are particularly agitated: a fox who mothers a family of chicks, a rabbit who plays the stork, and a duck who wants to be Santa Claus. If you think life in the country is a walk in the park, think again! Directors Benjamin Renner and Patrick Imbert adapt Renner’s own acclaimed graphic novel into a delirious, delightful triptych of interlocking stories, with a pacing and visual spontaneity that harkens back to classic Looney Tunes shorts and slapstick two-reelers. But underneath the gags (and there are plenty of them), the three stories offer a sensitive and beautiful portrayal of family and the anxieties of modern life. 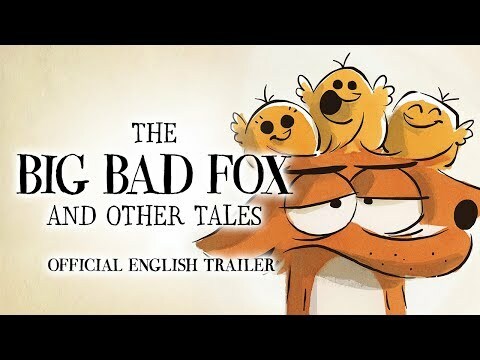 The Big Bad Fox and Other Tales was released on Cinema 184d ago in the US and the UK. Notify me when The Big Bad Fox and Other Tales is available.